Management Services Organizations (MSOs) have served as a popular tool to seemingly legitimize physician-business joint ventures. The idea was simple: physicians own a portion in a company to which they do not refer any business, but, in return, receive prorated ownership distribution for services provided to pharmacies, hospitals, and toxicology laboratories. While the concept remains lawful, several MSO structures suffer operational flaws. These flaws are now focus of the U.S. Justice Department and subject to insurance fraud investigations. We have local counsel throughout the United States including in Dallas, Houston, Austin, Miami, Orlando, Cleveland, Detroit, Las Vegas, San Diego, Los Angeles, San Francisco, and Portland. Call us today! Starting in the 2010s, many physicians became part-owners of toxicology laboratories, pharmacies, and hospitals. Such joint venture ownership often implied Stark Law, which restricts or prohibits a physician from having a financial interest in a health care entity to which that physician refers business. To legally circumvent the idea of direct ownership and Stark Law implications, MSOs were created and physicians invited to invest. Under the MSO syndication model, physicians no longer owned a piece of a pharmacy directly but would instead own a piece in a company that services a pharmacy, namely the MSO. The important distinction from a legal perspective is that physicians no longer refer business to an entity in which they (or an immediate family member) have a financial interest because they do not refer any business to the MSO but to a pharmacy (which they don’t own or control). Under said MSO model, physicians refer business to a pharmacy, but their ownership interest is with a different company, the MSO. Exercising broad jurisdictional powers, the United States Department of Justice and the Department of Health and Human Services have recently opened several investigations targeting business owners and physicians involved in (commercial payor) MSOs. Key here is that the MSO that is co-owned by physicians and that provides services to the pharmacy in return for compensation does not indirectly violate the Anti-Kickback or the Stark Law Statute. It is important to make sure that the service compensation between the physician-owned MSO and the pharmacy reflects fair market value and that the services (e.g. accounting, HR, marketing etc.) are actually provided.The government’s investigatory options are twofold. The Anti-Kickback Statute is a criminal statute that prohibits the knowing and willful offer, payment, solicitation, or receipt of any remuneration to induce or reward referrals of items or services reimbursable by a federal health care program. See, 42 U.S.C. 1320a-7b(b). A violation of the statute is punishable by a fine of up to $ 25,000.00 per violation or by imprisonment for up to five years and exclusion from the Medicare and Medicaid programs. Criminal investigations for alleged offenses for recommending or arranging referrals are historically extremely rare and non-existing in many of the 95 federal districts throughout the country. See, for example, S. v. Miles, 360 F.3d 472 (5th Circuit, 2004). While the threat of criminal prosecution remains an option for the government, actual criminal prosecutions of MSO participants can be expected only in the most extreme of all arrangements. Examples may include illegal side deals and clear establishment of intentional fraud. The more likely angle, the one seen so far utilized by sophisticated prosecutors and experienced OIG agents is the civil portion of the False Claims Act. In pertinent parts, the False Claims Act sanctions any person who presents or causes to present a false or fraudulent claim for payment or approval with the caveat that reckless disregard and deliberate ignorance are sufficient. Proof of specific intent to defraud, actual knowledge, or willful conduct are not required. See 31 U.S.C. 3729(a)(1)-(3), (b)(1). Violations of the False Claims Act may create liability for three times the amount of damages which the Government sustains because of the false claim in addition to a civil penalty of not less than $ 5,500 and not more than $ 11,000 per false claim. See 28 C.F.R. Sect. 85.3(a)(9). The attorneys at Oberheiden P.C. have settled, resolved, and avoided civil liability in hundreds of health care fraud investigations and offer significant experience defending MSO arrangements. Physicians concerned about their licensure status, their reputation, or their exposure for fraud should contact Oberheiden P.C. for a free consultation today. Business owners who feel that they were ill-advised or want to make some modifications to existing MSO structures should contact one of our health care fraud compliance attorneys to get reliable advice today. After all, the question becomes: which MSO is at risk of getting on the government’s radar. To be clear, the government is not questioning the legitimacy of management arrangements per se and law enforcement is not globally scrutinizing physician-syndicated MSOs. Instead, the government is distinguishing between low and appropriate compliance levels. The government appears to be focusing on so-called “Series MSOs,” whereby MSOs are created and mass-produced underneath a holding company with each of these LLCs being assigned to individual physicians to maximize the physician’s revenue. The Department of Health and Human Services (HHS) and the Office of Inspector General (OIG) from the Washington D.C. headquarters are currently leading the investigations. An important factor of regulatory compliance in the context of MSOs is the management service agreement between the MSO and the health care entity. While it is often difficult, perhaps impossible, for a start-up to establish a flat fee before inception of any business operations and prior to having any understanding of financial prospects, the company’s documented efforts should always demonstrate the company’s intent (a) to not take volume of referrals into consideration, (b) to convert into a flat, pre-determined service fee as quickly as feasible. Because at the end of the day health care statutes are also designed to protect the patients from undue influence and biased decision-making, we also recommend adding transparency to the physician’s ownership interest by disclosing the fact that the physician has a financial interest in an MSO. What Should I Do If I Received a Government Subpoena? If you received a subpoena or a Civil Investigative Demand (CID) from the Office of Inspector General (OIG), the Department of Health and Human Services (HHS), the Department of Justice (DOJ), or if you were contacted by investigators, you should immediately seek the advice of experienced defense attorneys to protect your rights and your license. Oberheiden P.C. attorneys offer a free and absolutely confidential consultation to assess your exposure and potential liability. Former Justice Department prosecutors will recommend concrete steps and outline a comprehensive defense strategy that is based on decades of health care fraud defense experience. What Is the Statute of Limitations for Federal Health Care Fraud Prosecutions? In general, the government must bring its case within a five-year statute of limitations, which is subject to a number of important exceptions. If, for example, the MSO is still in existence or if your departure from the MSO is only recent, the government may have arguments to extend this five-year period. For example, if you entered an MSO in 2011 but your last distribution check was in 2016, the government may have until 2021 to move forward with its investigation. What Are the Penalties for AKS Violations? The federal anti-kickback statute is a hybrid statute, which means that the government can impose civil and/or criminal sanctions. Criminal liability can lead to federal felony prosecutions and imply years of imprisonment while civil violations of the anti-kickback statute can lead to monetary liability and requests for repayments. 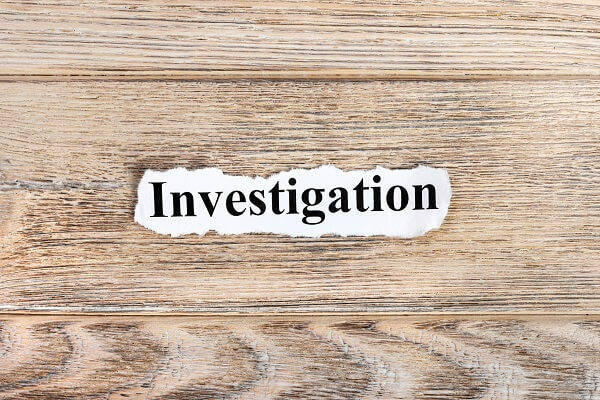 If you find yourself in the middle of such an investigation, you should immediately call attorney Dr. Nick Oberheiden for a confidential case assessment. The longer you wait, the more time you grant government lawyers to frame you as a target. At What Point Do I Need to Be Worried About My MSO Involvement? The clearest indication to be worried is if you received a Civil Investigative Demand (CID), a government subpoena, or a threatening letter from a private health insurance. Any of these events suggests that you are a target of an investigation. In general, you should contact Oberheiden P.C. if you have any questions regarding your MSO participation to get reliable advice and a free assessment. Are All MSO Arrangements Bad? Certainly not. A carefully drafted, analyzed, and reviewed service structure is one of a number of ways to create effective synergy between physicians and non-physicians. The key to compliance is to be advised by competent counsel who is able to present a competitive but yet defendable financial service relationship between the two entities involved. Such counsel will, for example, not simply say that fair market value exists (or is assumed), but will discuss objective, independent standards that will constitute a true analysis and true grounds for remuneration. “Good” MSO entities don’t just talk about compliance and compliance monitoring, but take active, ongoing steps to make sure that the structure, the financial relationships, and the services are exactly what the corporate documents say they are. Why Should I Call Oberheiden P.C.? Oberheiden P.C. offers clients unique perspectives and skill sets. What distinguishes our Firm is more than a century of insights at the Justice Department and our focus on health care defense cases. Many attorneys at Oberheiden P.C. were previously in charge of federal health care fraud investigations at U.S. Attorneys offices across the United States and understand what to do when someone receives a government subpoena or has questions about federal investigations. How Can I Get in Touch with a Senior Attorney at Oberheiden P.C.? Lynette S. Byrd (former DOJ): Ms. Byrd served the United States as an Assistant United States Attorney (AUSA) in the Northern District of Texas. During her tenure at the Department of Justice, Ms. Byrd litigated federal fraud cases on behalf of the United States. Aaron L. Wiley (former DOJ): Mr. Wiley is a highly accomplished former federal health care fraud and white-collar prosecutor. While at the Department of Justice, Mr. Wiley led some of the country’s largest fraud investigations and high-profile health care investigation. Subodh Chandra (former DOJ): Mr. Chandra is a former chief federal prosecutor for criminal health care fraud at the U.S. Attorney’s Office and an accomplished federal litigator. A graduate of Yale Law School and formally recognized by former FBI Director Mueller, Mr. Chandra offers clients proven experience in complex health care investigations and litigation proceedings. Hamilton Arendsen (former DOJ): Mr. Arendsen is a highly decorated former trial attorney at the U.S. Attorney’s Office in the Southern District of California. If you were contacted by the government or received a letter from an insurance company regarding your involvement in physician-owned MSOs, or if an insurance carrier threatens to sue or expel you, then you should contact Oberheiden P.C. now to obtain a free and confidential consultation, including on weekends.